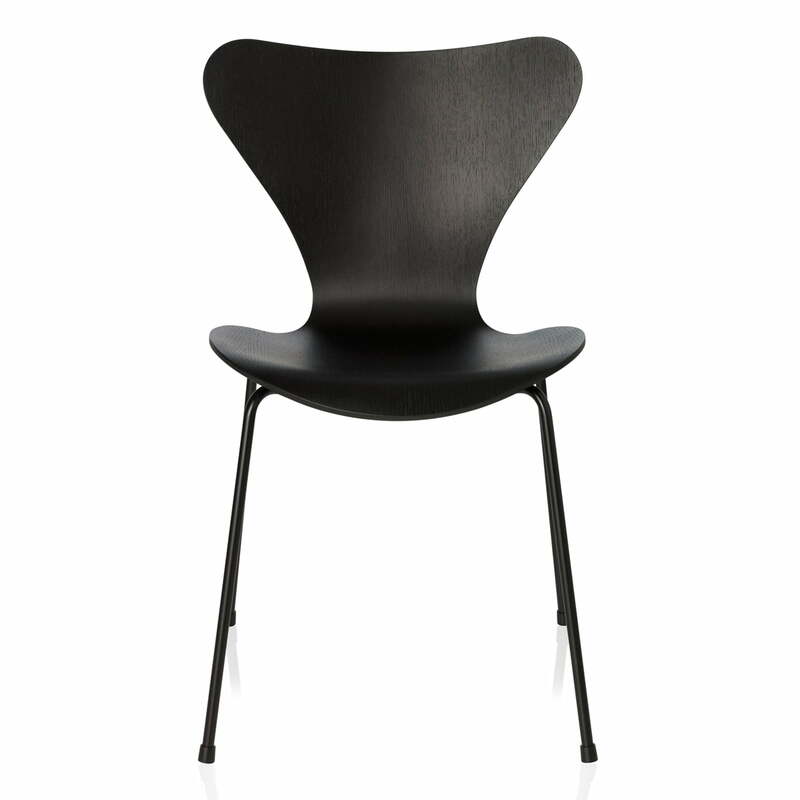 The Series 7 was designed by Arne Jacobsen in 1955. 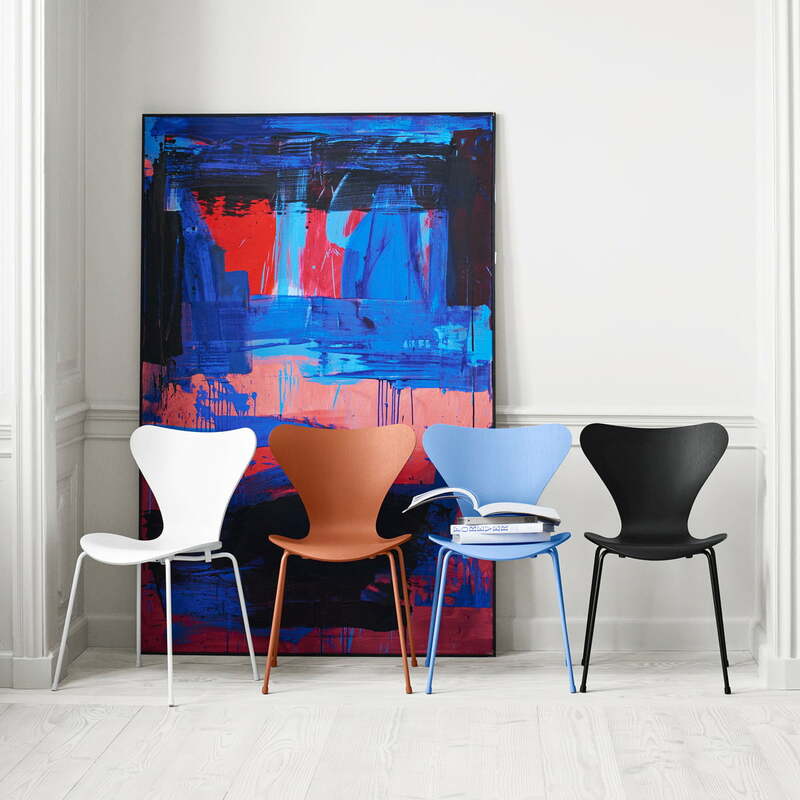 On its 60th anniversary in 2015, Fritz Hansen presented the chair in new colours by the artist Tal R. Matching the seat shell using the same colour, the frames are now available in black, white, Chavalier orange & Trieste blue. As part of the monochrome edition, the Series 7 seat shells are available in two different versions. One version is coloured oak wood whereas the other is lacquered. 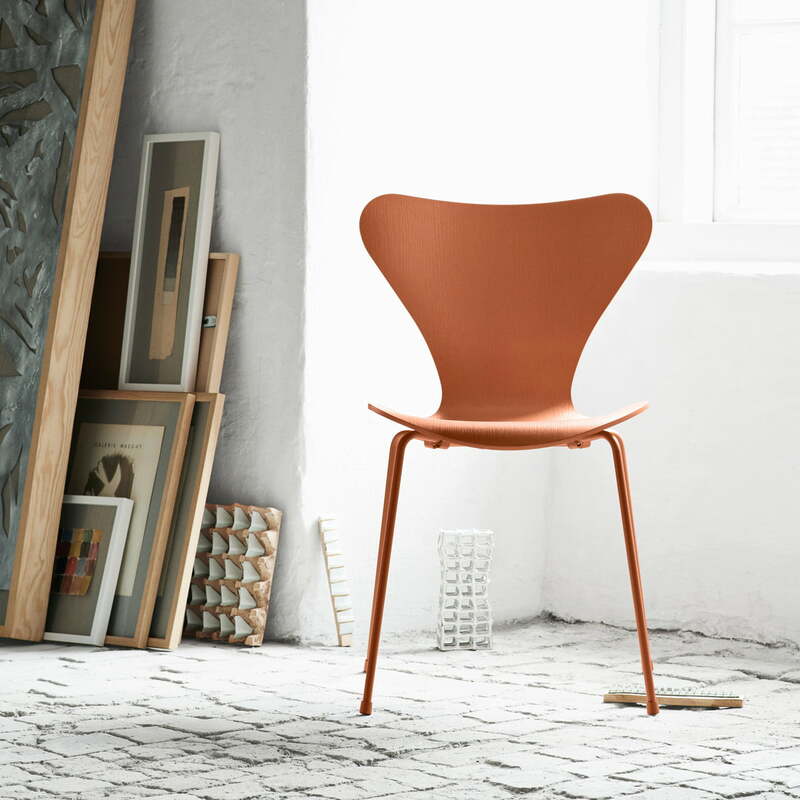 The difference is: in the case of the coloured version, the typical and individual wood grain of the seat shell remains visible, thus underlining the natural appearance and organic silhouette of the Series 7. 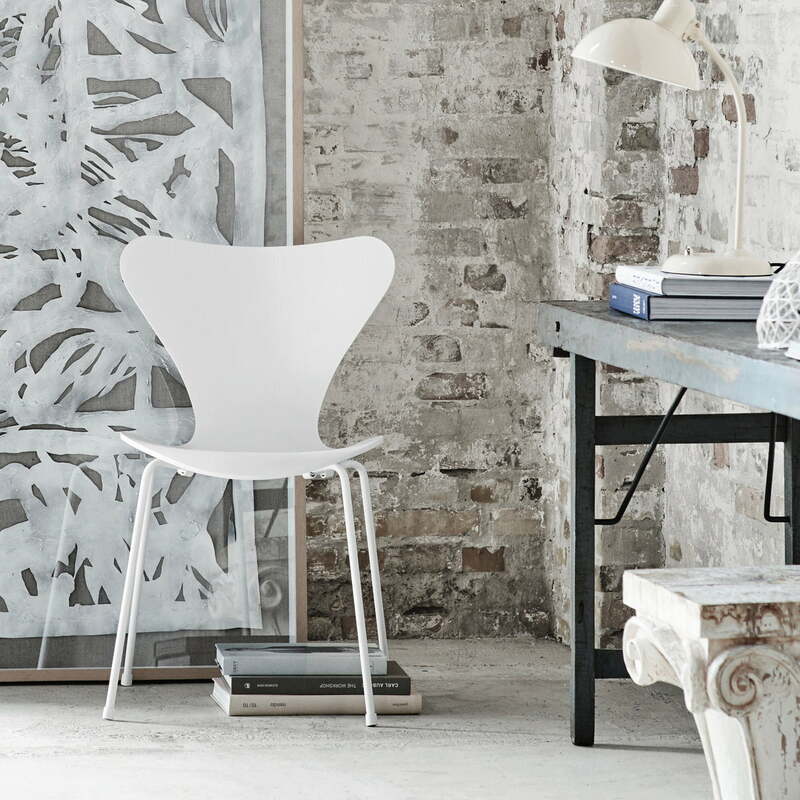 The lacquered model, in turn, stands out with a silky and uniform seat shell. The wood grain is covered with a gentle layer of colouring. 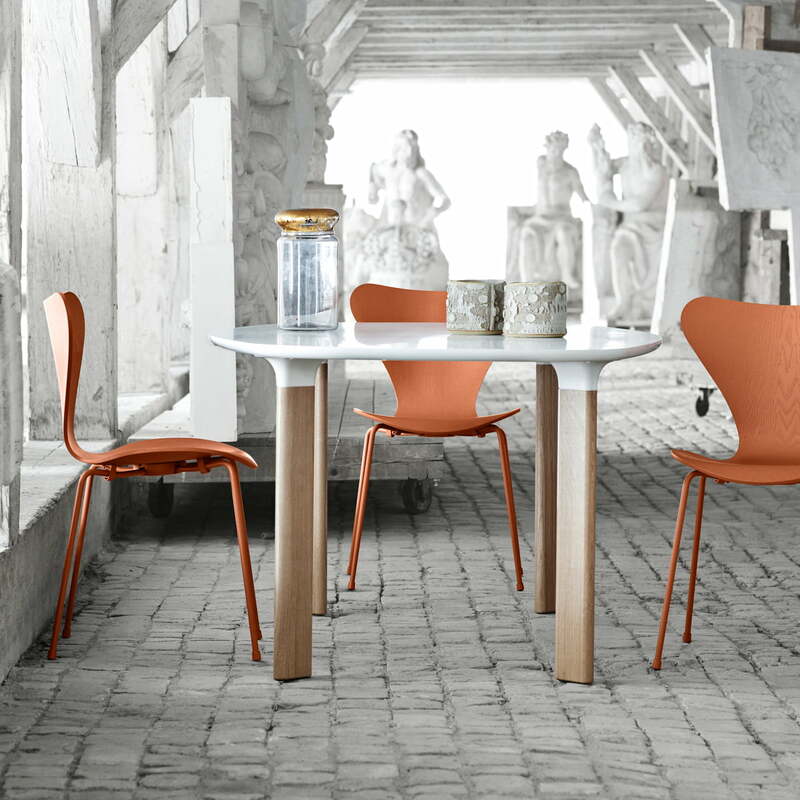 Both editions—the coloured and the lacquered monochromatic models—are available in the classic non-colours black and white as well as in two tones of the range of colours offered by the artist Tal R: Chavalier Orange, an Orient influenced orange tone which is the most exclusive of the new colours according to Tal R, and in Trieste Blue, a mix of violet and blue. 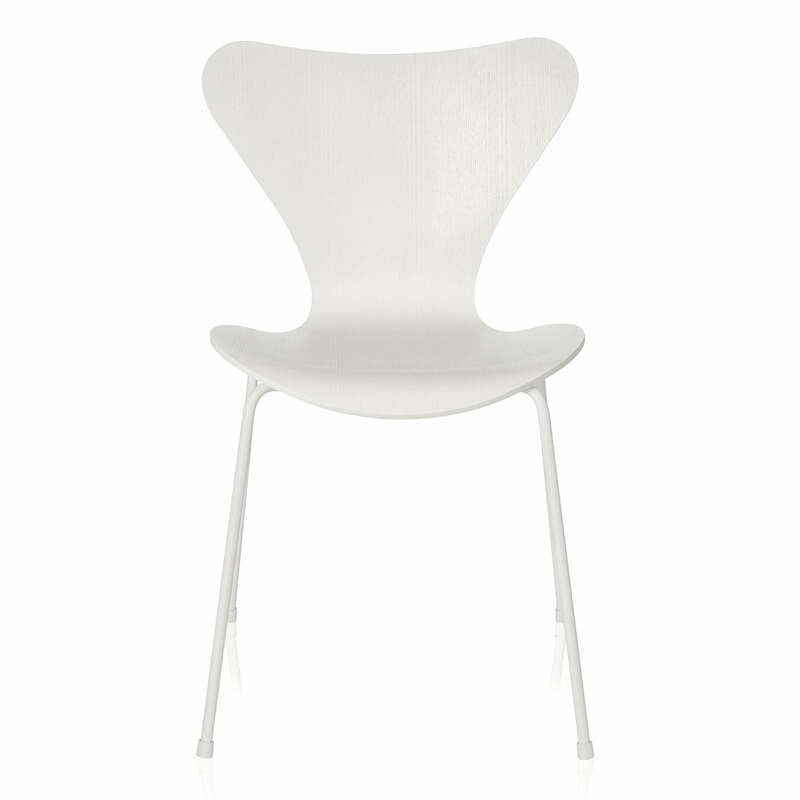 The monochromatic model seduces with its unitary calming appearance. The classic four legged base appears in the same colour as the seat. 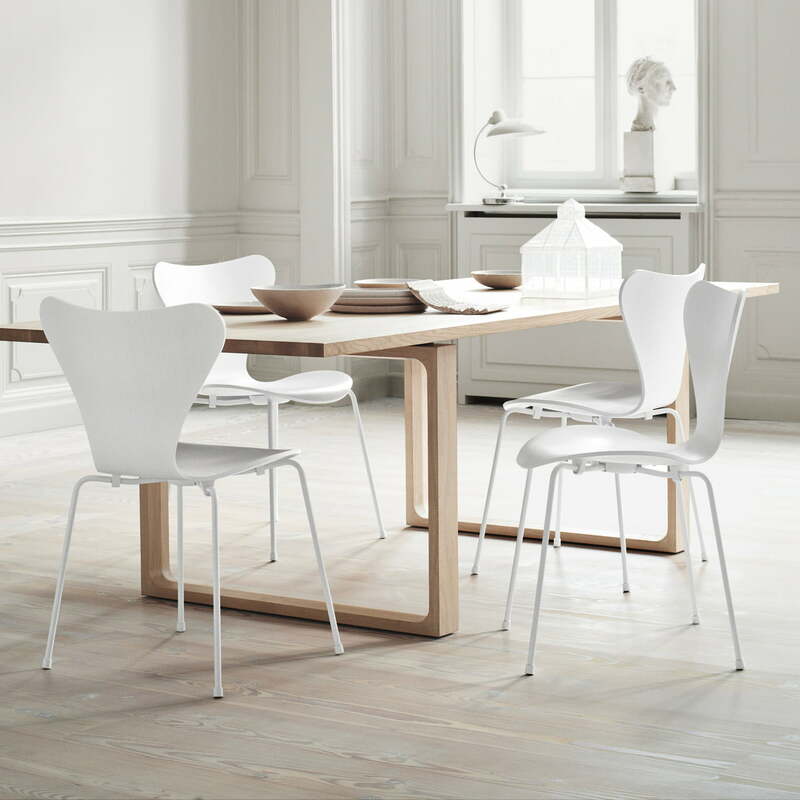 This way, two elements of the chair become a harmonic unity. 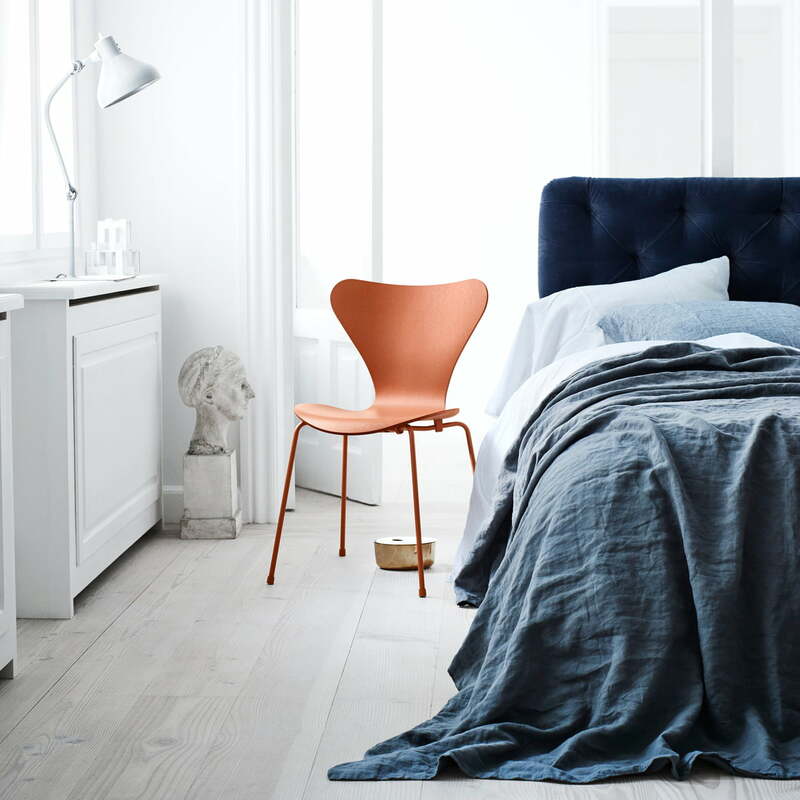 The Series 7 by Arne Jacobsen deserves its place amongst the classic chairs of furniture history, since the different modules, colours and bases offer many individual configurations, adapted to everyone. 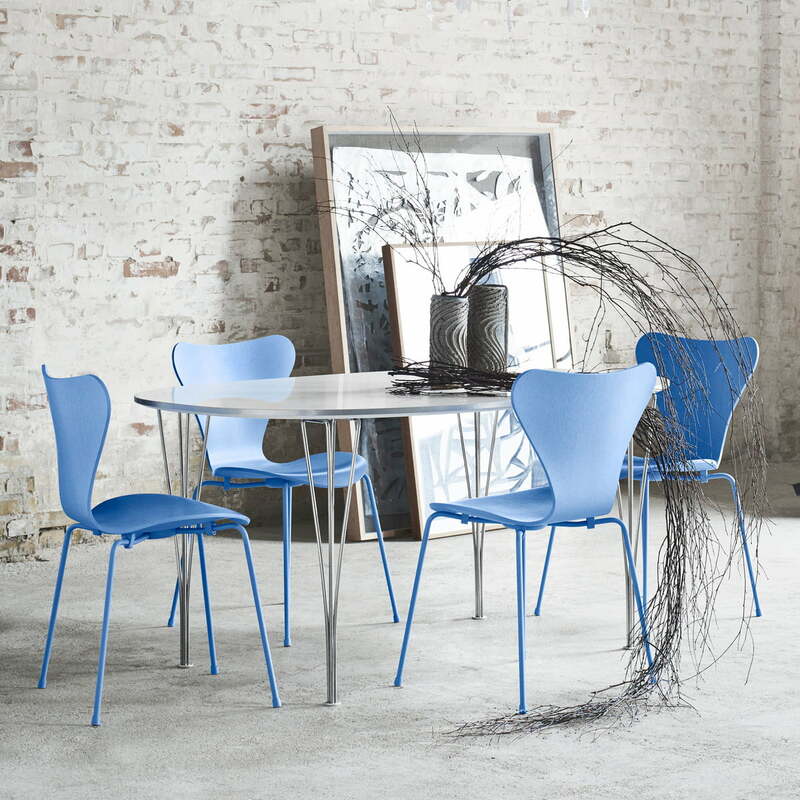 The chair is available in other colours and with different bases and cushions.